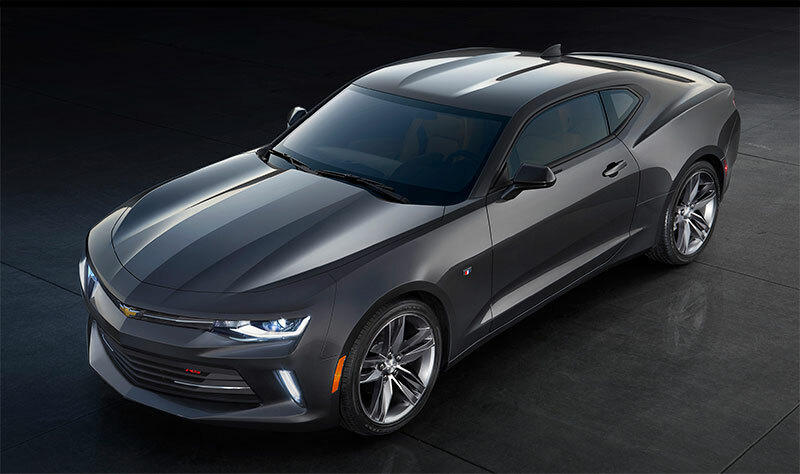 The sixth-generation Chevrolet Camaro revealed today offers higher levels of performance, technology and refinement and is designed to maintain the sporty car segment leadership earned over the past five years. 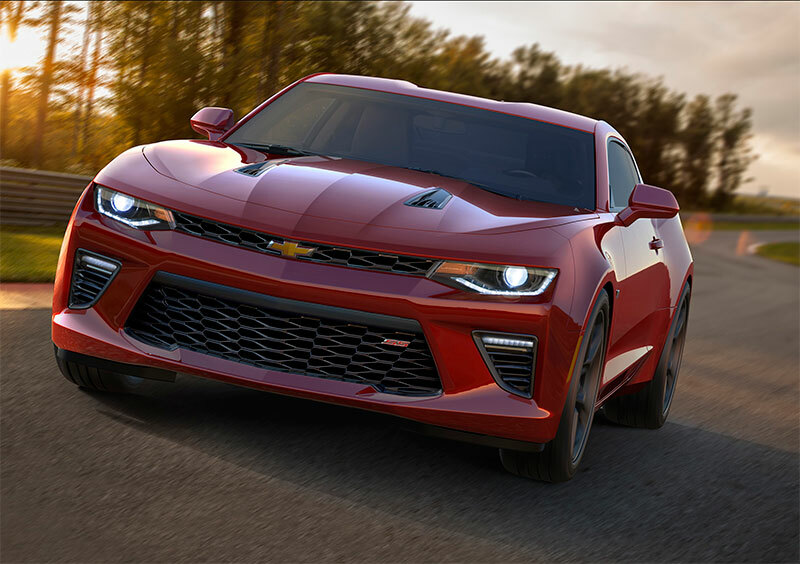 The Gen Six Camaro provides a faster, more nimble driving experience, enabled by an all-new, lighter architecture and a broader powertrain range. Six all-new powertrain combinations are offered, including a 2.0L Turbo, an all-new 3.6L V-6 and the LT1 6.2L V-8, which is SAE-certified at 455 horsepower (339 kW) and 455 lb-ft of torque (617 Nm) – for the most powerful Camaro SS ever. Each engine is available with a six-speed manual or eight-speed automatic transmission. Camaro’s leaner, stiffer platform and slightly smaller dimensions are accentuated by a dramatic, sculpted exterior. Meticulously tuned in the wind tunnel, the exterior contributes to performance through reduced aerodynamic lift for better handling while enhancing efficiency. A driver-focused interior integrates class-leading control technologies, including a new Driver Mode Selector, configurable instrument cluster and a customizable ambient lighting feature. Only two parts carry over from the fifth-generation Camaro to the new Gen Six: the rear bowtie emblem and the SS badge. With improved handling and performance, the Camaro SS delivers better lap times than the fifth-generation’s track-focused Camaro 1LE package. High-definition, configurable color displays – including available dual, 8-inch-diagonal screens. “We have had the incredible opportunity to meet literally thousands of Gen 5 Camaro owners who provided direct feedback on what they loved about their car and what they wanted for the next-gen Camaro,” said Al Oppenheiser, Camaro chief engineer. “As a result, the 2016 Camaro builds on what made the current Camaro such a success with more power, more agile handling and more technology. The Gen Six Camaro goes on sale later this year, offered in LT and SS models. In their quest to make the 2016 Camaro as lean as possible, engineers and designers evaluated every aspect of its architecture – already the most mass-efficient ever created by GM – and supporting elements, saving grams here and pounds there that contributes to the car’s lower curb weight. As a result, the total curb weight for Camaro has been reduced by more than 200 pounds (90 kg). Significant weight savings came from using an aluminum instrument panel frame instead of steel, which saved 9.2 pounds (4.2 kg). The use of lightweight components, including aluminum front suspension links and steel rear suspension links with lightening holes, in the new five-link rear suspension system contributed to a 26-pound (12 kg) reduction in the overall suspension weight. With the lighter, stiffer architecture and more powerful engines, the Gen Six Camaro SS delivers better lap times than the fifth-generation’s track-focused Camaro 1LE package. The Camaro features a new, multi-link MacPherson strut front suspension with Camaro-specific geometry. The double-pivot design provides a more precise feeling of control, including more linear and communicative feel from the quick-ratio electric power steering system. At the rear, a new five-link independent suspension yields outstanding wheel control and reduces “squat” during acceleration. All Camaro models offer Brembo brakes – they’re standard on SS – optimized for the car’s mass and performance capability. On Camaro LT, the available brakes include 12.6-inch (320 mm) front rotors with four-piston calipers and 12.4-inch (315 mm) rear rotors with single-piston sliding calipers. Camaro SS employs 13.6-inch (345 mm) front rotors with four-piston fixed calipers and 13.3-inch (338 mm) rear rotors with four-piston fixed calipers. Goodyear tires are used on all models: The LT features standard 18-inch wheels wrapped with Goodyear Eagle Sport all-season tires and available 20-inch wheels matched with Eagle F1 Asymmetric all-season run-flat tires. Camaro SS features standard 20-inch aluminum wheels with Eagle F1 Asymmetric 3 run-flat tires. The new Camaro will be offered with six different powertrain combinations, each designed to deliver improved performance and efficiency. The Camaro LT’s standard engine is a new 2.0L Turbo, rated at an SAE-certified 275 horsepower (205 kW) and 295 lb-ft of torque (400 Nm). For power on demand, it offers a wide torque band with 90 percent of peak torque available from 2,100 rpm to 3,000 rpm, and maximum torque from 3,000 to 4,500 rpm. 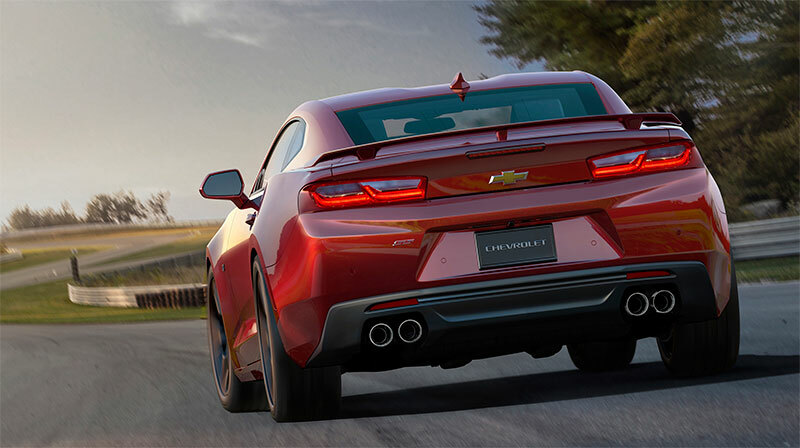 The 2.0L turbo will deliver 0-60 mph acceleration in less than six seconds and offer more than 30 mpg on the highway (GM-estimated), making it the most fuel-efficient Camaro ever. An all-new 3.6L V-6 is available in the Camaro LT, producing and SAE-certified 335 horsepower (250 kW) and 284 lb-ft of torque (385 Nm), for the highest specific output of any naturally aspirated V-6 in the segment. The engine incorporates a trio of technologies for uncompromised efficiency and performance, including direct injection, variable valve timing and, for the first time, Active Fuel Management (cylinder deactivation), which disables two cylinders under light throttle applications to enhance efficiency. The 2.0L turbo and 3.6L V-6 engines are offered with a six-speed manual transmission or the all-new Hydra-Matic 8L45 paddle-shift eight-speed automatic transmission. It’s based on the Hydra-Matic 8L90 eight-speed, but scaled for the performance envelope of the smaller engines and offering an estimated 5-percent efficiency improvement over a comparable six-speed automatic. Camaro SS is powered by the 6.2L LT1 V-8 engine introduced on the Corvette Stingray. About 20 percent of the components are specific for the Camaro’s architecture, including new, tubular “tri-Y”-type exhaust manifolds. It also offers advanced technologies such as variable valve timing, direct injection and Active Fuel Management (on automatic-equipped models) to help balance efficiency and performance. Output is SAE-certified at 455 horsepower (339 kW) and 455 lb-ft of torque (617 Nm), making it the most-powerful Camaro SS ever. The LT1 engine is available with a standard six-speed manual transmission – with new Active Rev Match technology that “blips” the throttle for perfectly timed downshifts – or the Hydra-Matic 8L90 paddle-shift eight-speed automatic. Each engine has been carefully tuned for a distinctive performance sound. All 2.0L turbo models feature active noise cancellation, which uses sound waves to cancel unwanted cabin noise. Models equipped with the available Bose audio system also feature engine sound enhancement, which amplifies the native sounds of the 2.0L turbo engine – and can be disabled based on the driver’s preference. Both the 3.6L V-6 and 6.2L V-8 feature mechanical sound enhancers – resonators that direct induction noise from the engine bay into the cabin. Both engines are available with a dual-mode exhaust, which features electronically controlled valves that bypass the mufflers under acceleration, delivering improved performance and greater sound levels. With the dual-mode exhaust, drivers can personalize the exhaust sound, from a “stealth” mode to the most aggressive “track” mode. The front of the Camaro is defined by a cross-car grille/headlamp aperture, a signature cue that dates to the first generation. The new, expressive execution gives the Camaro a stronger, more determined face. It also displays a new, nearly fastback profile that flows into the pronounced haunches of the rear fenders, enhancing the wider, more aggressive stance. A more expressive take on the taillamps blends the horizontal aesthetic of the first generation with a dual-element theme and aggressive tapers for a contemporary appearance. Additionally, SS models have a unique rear spoiler. Standard lighting includes halogen projector beam headlamps and taillamps. RS and SS models add high-intensity discharge, or HID, projector-beam headlamps and LED “signature lighting” daytime running lights – including a sweeping LED lightpipe integrated in the headlamp and an LED light pipe integrated into the front fascia. RS and SS models also feature LED lighting for the rear taillamps, including auxiliary LED light guides that mirror the shape of the front signature lighting. In many cases, the exterior design not only communicates the performance capabilities of the new Camaro, but contributes to them. For example, the teams spent more than 350 hours testing the Camaro in the wind tunnel, meticulously tailoring the exterior to improve cooling and reduce aerodynamic lift and drag. Aerodynamic details include a subtle “air curtain” on the front fascia, which guides air around the wheels rather than into the wheelhouses, reducing drag. Also, the Camaro SS has a unique front fascia with integrated brake cooling ducts and a unique hood with functional air vents, which improve engine cooling and reduce front lift. All models share a more pronounced, sculpted roof panel that improves the structural rigidity of the roof for greater refinement. The roof is assembled using laser brazing, eliminating the need for “ditch channel” seams and cover trim, giving the car a sleeker appearance while saving half a kilogram compared to traditional spot welding. There’s also a new interpretation of the Camaro’s iconic red, white and blue “banner” insignia, displayed on the front fenders. Like the exterior, the interior is completely new yet instantly recognizable. 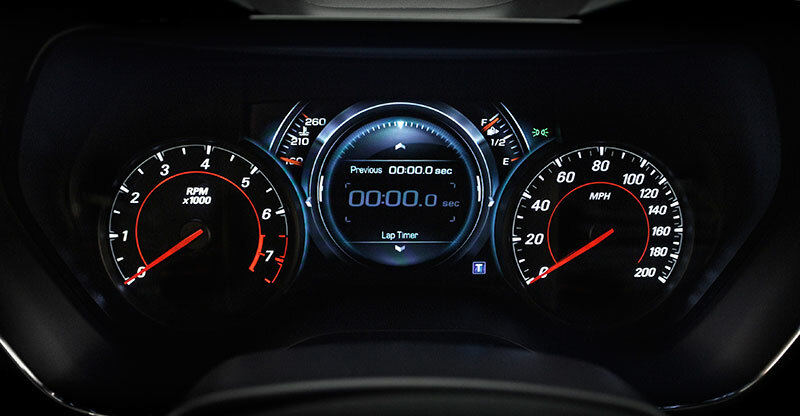 The instrument panel, for example, is a departure from the previous model, but retains the Camaro’s familiar dual-binnacle-style instrument cluster hood. The new center console and center stack are designed with high performance driving in mind. 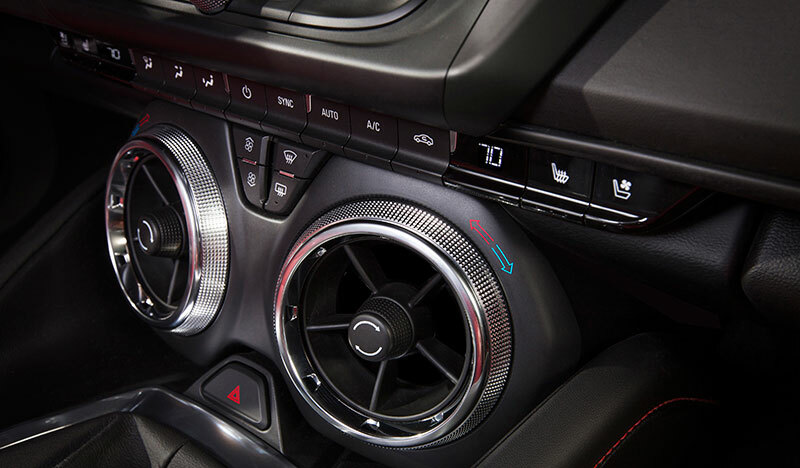 For example, the heating and cooling controls are integrated into rings surrounding the air ducts. Eliminating the associated buttons makes the cabin feel more spacious, and makes adjusting the temperature easy while keeping your eyes on the road. An available, segment-first LED ambient lighting system, integrated in the dash, door panels and center console, offers 24 different colors, as well as fade and transition effects that spread across the interior. There’s even a theatrical “car show” mode that cycles randomly through the entire color spectrum when the Camaro is parked. Automatic trans. Performance Algorithm Shift N/A N/A AVAIL. AVAIL. StabiliTrak – Competitive Driving and Launch Control N/A N/A AVAIL. AVAIL.